When a loved one dies, a burden remains on the bereaved. This also has an impact on the cardiac health of mourners: a recent study shows that one year after the death of a partner, the risk of having atrial fibrillation is significantly increased. Extreme psychological stresses such as the death of a loved one are associated with an increased risk of acute cardiovascular disease and mortality. It was recently revealed by a study that being over 60 years old doubled the risk of suffering a heart attack or stroke in the first 30 days after the death of the respective partner. What’s more, changes in blood pressure and blood coagulation were observed after the loss of the partner. Now a large scale Danish study has for the first time investigated how the death of a partner has effects on the risk of atrial fibrillation. Atrial fibrillation is one of the most common heart arrhythmias in the Western world: lifetime risk is 22 to 26 percent. With this disease, the atria are too rapid and disordered in their activity – a state which may be either temporary or permanent. Atrial fibrillation is associated with increased risk of stroke, heart failure and death. Most commonly, the patients experience symptoms such as tiredness, a sudden drop in energy, heart palpitations and sleep disorders. 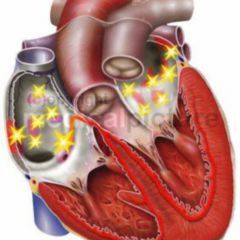 Nevertheless, 70 percent of atrial fibrillation attacks are not even noticed by those affected. Simon Graff of Denmark’s Aarhus University and his team used data from Danish health registers running from 1995 to 2014. From it, the researchers identified 88,612 patients who had received for the first time the diagnosis “atrial fibrillation”. Of these,17,478 had experienced the death of their partner. “Such an event often leads to significantly pronounced psychological symptoms such as anxiety, depression, feelings of guilt or hopelessness”, the authors explain. The psychological stress after the death is not only present in the short term, but often keeps going for weeks and months. Compared with the healthy control group, the risk of atrial fibrillation in patients who lost their partners was elevated up to a year after the death. The risk here was highest in the first eight to fourteen days, and then gradually declined again. In the first 30 days after the death of a partner, the risk of suffering from atrial fibrillation was elevated by 41 percent compared to the control group. “The risk was particularly high with people under 60 years and those whose partners in the month before the death were still relatively healthy and who died unexpectedly”, report Graff and his team. The statistical connection remained present even when the influence of other factors such as gender, pre-existing conditions such as diabetes, and cardiovascular disease and medication were factored in. “Our results suggest that a severe stress load increases the risk of first developing atrial fibrillation”, the authors write. However, the study was purely observational. 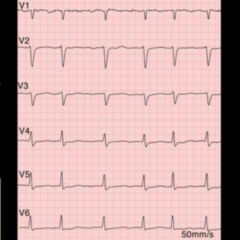 Therefore further studies would have to prove that the death of a partner is in fact the cause of atrial fibrillation. Previous studies have already shown that emotional stress in people who have suffered attack-type atrial fibrillation can cause cardiac arrhythmia. 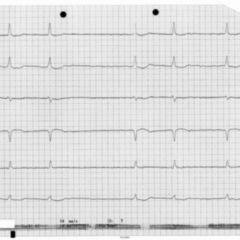 In addition case reports suggest that this may also be the case for people without atrial fibrillation in their medical history. 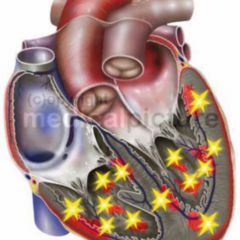 Next, it is important to elucidate the mechanisms that may be able to explain the relationship between the loss of a partner and atrial fibrillation, Graff and his team emphasise. So far it has been known that severe stress can trigger pathophysiological changes that may make the heart more susceptible to arrhythmias: these changes include lesser influence on parasympathetic activity and increased activity of the sympathetic nervous system. The parasympathicus normally contributes to reducing the heart rate and the excitability of the heart, while the sympathetic nervous system increases cardiac activity and blood pressure. Furthermore, these changes could lead to an increased incidence of proinflammatory zytokine, which can cause inflammation. In addition, following a death lifestyle changes may also occur: those affected might perhaps sleep more poorly, drink more alcohol, eat more unhealthily, be less active and smoke more. It might also happen that after such a death a person ends up taking his or her medication more irregularly or perhaps not at all. All this could increase the risk of atrial fibrillation, suggest Graff and his team. 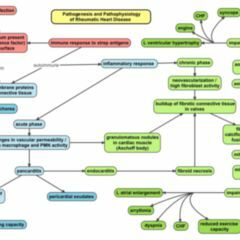 Future research should also attempt to identify risk groups which in the instance of more severe stress tend to develop atrial fibrillation – and those who, in the instance of atrial fibrillation, are particularly at risk of developing complications. It was shown by one recent meta-analysis that women with atrial fibrillation have a significantly higher risk of suffering stroke, cardiovascular disease and heart failure than do men. In addition, their risk of dying was significantly higher than that of the male comparative. In order to prevent mourning being the cause of the victims ending up with ‘heart breakdowns’, it is important to better understand the psychological and social factors that can lead to heart disease, write Graff and his team. Then it is also possible to develop measures to effectively reduce the risk of atrial fibrillation in mourners. This would be especially important in the first weeks after the death, during which the risk for cardiovascular disease is highest, write Thomas Buckley and his team from the University of Sydney in a review article [Paywall]. In particular, social support could at this time be an important protection factor in mitigating extreme psychological distress. “At the same time people working as health professionals ought to be aware of the increased risk of heart disease with mourners and to observe those affected closely,” say Buckley and his team.